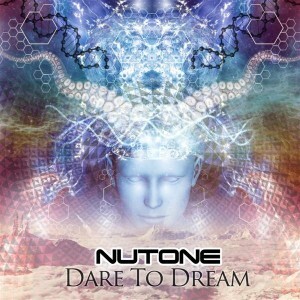 Australian psytrance artist NuTone brings you his debut release, Dare To Dream, on NJOI MUSIC. NuTone’s sound is serious and driving, with interesting rhythms and atmospheres that feel spacious and cosmic. In this release he plays with the idea of letting go of the limited self and embracing the limitless version of who you truly are. All tracks written and produced by Jesse Newton except track three, produced and written by Nick Andrews AKA Dirtron and remixed by NuTone. Artwork by Morgan Brooke Design. MP3 Download | FLAC Download | WAV Download · Download count: 6,390.